One of those projects involved genetically modifying flu viruses. And during the review, the committee brought up the idea of “dual-use” research. “Dual use” means legitimate scientific work that’s intended to advance science or medicine, but that also might be misused with the intent to do harm. Now, nearly three years after that meeting, this flu research — along with similar work done in the Netherlands — has the science community in an uproar. Scientists, security experts, flu virologists and others are arguing over whether the details of experiments with lab-altered forms of bird flu can be made public, or whether that would amount to publishing the recipe for a superflu that could be used as a bioweapon. Bird Flu Studies Getting Another Round Of Scrutiny By Panel : Shots – Health Blog : NPR. Shortly before Thanksgiving science reporters and bloggers began buzzing about a newly created, genetically modified version of the deadly bird flu that could easily be transmitted between ferrets, which closely mimic the human response to flu. Although the bird flu has been decimating poultry flocks overseas since the 1990s, it rarely threatens humans. That’s because. . .
Biosecurity experts fear UW's bird flu findings could fall into wrong hands. Caution urged for mutant flu work : Nature News & Comment. 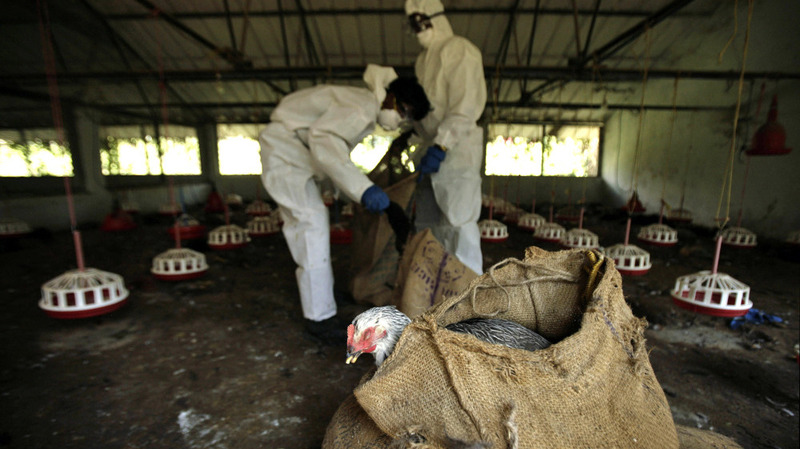 Bird Flu Researchers Postpone Work Amid Bioterrorism Concern | Health | English. Research into more deadly strain of bird flu suspended over fears for potential source of spread | Mail Online.